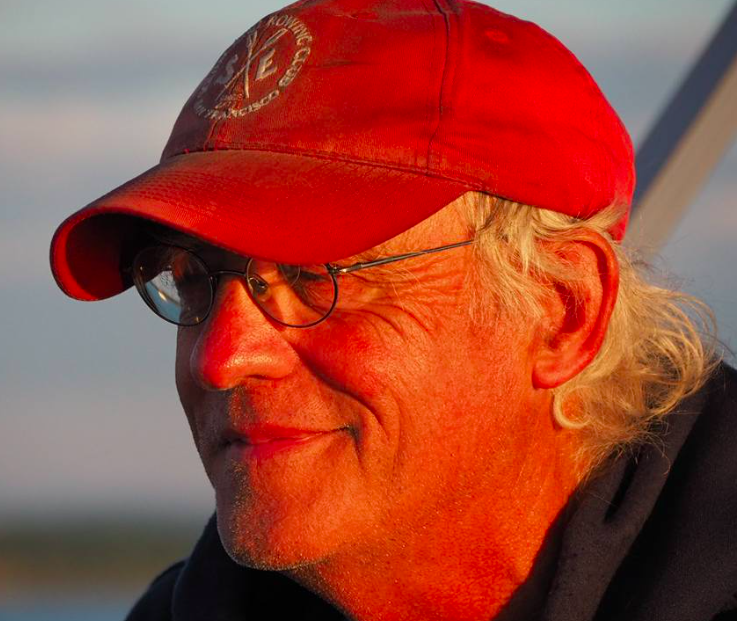 "Philip White is honored as a Contributor for founding the Northeast Kingdom Open Water Swimming Association, the Kingdom Games, the Memphremagog Winter Swimming Society, and the Vermont Open Water Swimming Hall Of Fame," explains Brynn. "White, a retired attorney from Derby Vermont, has a long connection to Vermont lakes that goes deep into his soul. He lives on the shores of Lake Memphremagog, in the Northeast Kingdom. He has been organizing open water swim events in Vermont for over a decade. The lake itself is often the inspiration of his many events, with distances ranging from 100 yards, to 25.2 miles. Many events carry a message, such as establishing friendlier borders, and supporting local nonprofit organizations. White has built a community of open water swimmers, who keep coming back, and for good reason, the lakes are breathtaking, the local community supportive, and White, personally connects with both new and returning swimmers. He has created a warm, welcoming feel that reaches swimmers, kayakers, and their families. In 2009, White established, the Kingdom Swim, with 100 yard, 1 mile, 3 mile, 6 mile and 10 mile distances. In 2011, White dreamed of opening up the border between the United States and Canada. On 9/11 in 2011, he fulfilled this dream when 11 swimmers set off from Newport, Vermont, USA, to swim 25.2 miles to Magog, Quebec, Canada. Four swimmers completed the crossing. Since then, 26 swimmers have swum the length of the lake. In 2014 White, broke down even more barriers, by establishing a 25 km border crossing event at Lake Memphremagog, appropriately called the Border Buster, to date the border has been busted 107 times. He also established a race across Lake Willoughby, and the Swim the Kingdom Week, an annual Vermont swim week with 8 days of swimming various Northeast Kingdom lakes over 9 days. Eager to encourage year-round open water swimming in Vermont, White established the Lake Memphremagog Winter Swimming Festival in 2015. The event is held annually. Competitor’s race in a 25-meter, 2-lane pool cut out of the ice in Lake Memphremagog. White has established, year-round swimming in Vermont, as a swimming destination for open qater swimmers from around the world." Even in the most recent swim, White continues to make news. He describes the Seventh Annual In Search of Memphre, a 25-mile international swim on Lake Memphremagog, between Newport, Vermont and Magog, Quebec. "Seven Swimmer Scouts from all over the United States decided to dedicate this year’s Search to The Dreamers, almost a million Americans facing the prospect of involuntary transportation to a country they have never known, and to many more millions of otherwise law-abiding North Americans living in fear of deportation. Part of the mission of In Search of Memphre is to promote a more open border. Seven years ago, it was widely believed that our border with Canada was closed to international swims after the events of 9/11. In July 2011, Elaine Kornbau Howley and I came up with a plan to swim the length of Lake Memphremagog, lawfully break through the border, and re-open it to international swimming. In Search of Memphre was started on the 10th anniversary weekend of 9/11 as a fundraiser, to seek the swimmer-friendly lake creature, Memphre, and to promote a more open border with our Canadian friends, even as we support law enforcement’s efforts to protect us from terrorist attack. Eleven swimmers participated in that epic first year, battling fierce headwinds all through the night. Since that first year, over 100 swimmers have crossed the border on Lake Memphremagog, as part of overnight The Search, the 25 km Border Buster established in 2014, The 10 km Clubhous-Province Island Swim, and several individual swims. We have come up with friendly protocols for receiving pre-approval of crossing into Canada. With Border Buster and the Province Island swim, as of this year, we have not been required to report in going north or coming back south, because we do not touch Canadian soil. We are proud of the international friendliness these swims have quietly promoted and achieved, with the help of law enforcement officials on both sides of the border. Today, we are feeling the heart-wrenching anxiety of almost a million Americans, swept up in the fear of involuntary transportation to a country they have never known, not to mention the many millions more who have lived here for years, worked hard, raised families, and lived otherwise law-abiding lives in the United States. The Seven Swimmer Scouts left from Prouty Beach in Newport at midnight on Monday and swam through the night and day on September 11th. They dedicate this year’s swim in support of all Dreamers." For information on Ned Denison's induction, see here.